Jennifer Lawrence and beau Cooke Maroney are now engaged! According to Page Six, the Hunger Games actress was spotted wearing the rock on her engagement finger during a dinner date with Maroney. 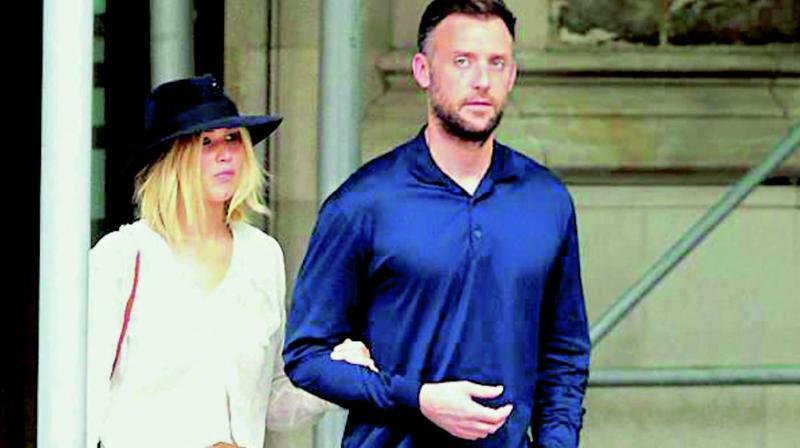 Actress Jennifer Lawrence is engaged to boyfriend Cooke Maroney. While the two have not given out an official statement, her representative has confirmed the news. According to Page Six, the Hunger Games actress was spotted wearing the rock on her engagement finger during a dinner date with Maroney. It seems like the two were celebrating the occasion at Raoul's, an upscale French restaurant in New York City. According to certain reports, the two have been dating since for close to an year but neither of them commented on it.